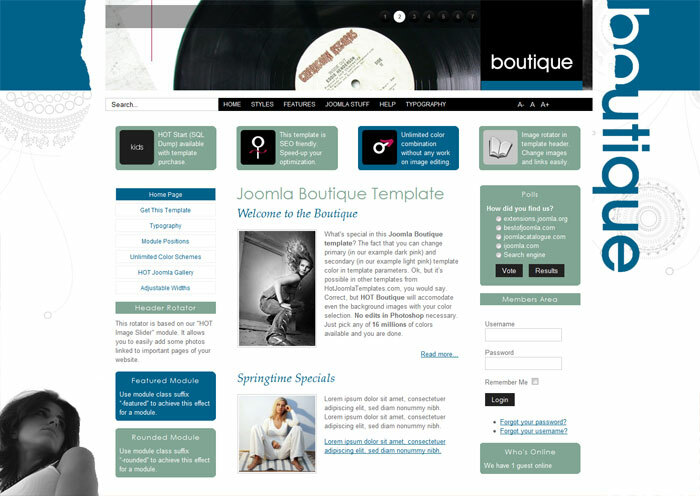 What's special in this Joomla Boutique template? 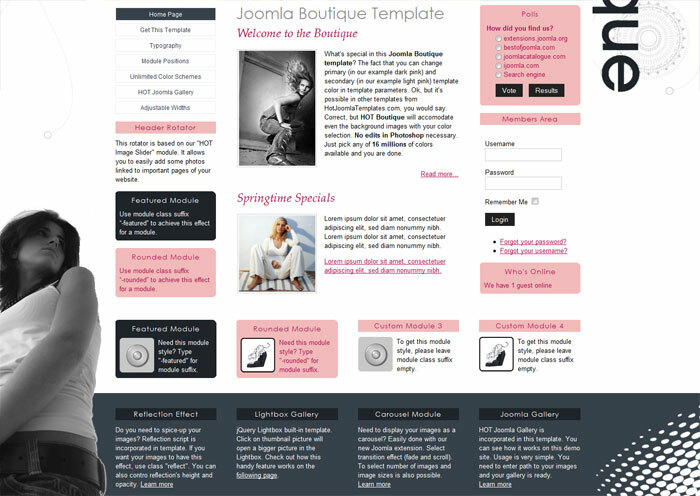 The fact that you can change primary (in our example dark pink) and secondary (in our example light pink) template color in template parameters. 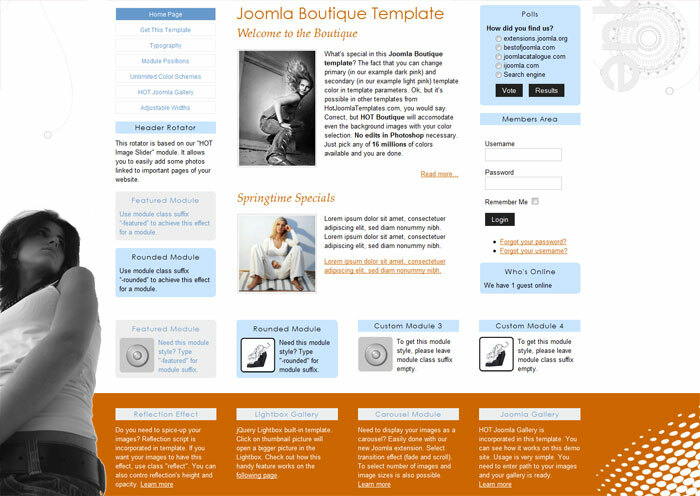 Ok, but it's possible in other HotThemes templates, you would say. 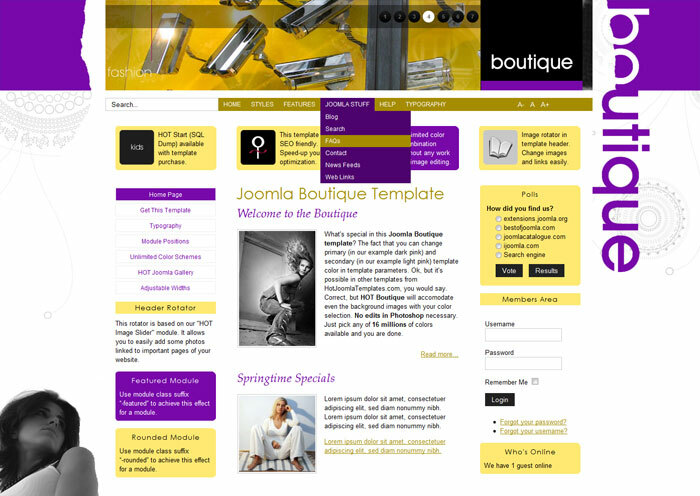 Correct, but the Boutique template will accommodate even the background images with your color selection. No edits in Photoshop necessary. Just pick any of 16 millions of colors available and you are done.